This explains why texting while driving is a leading cause of vehicle-related mishaps, particularly among teens, as we’ve laid out in a previous article. Even a post on Big Think insists that texting and driving, which it tags as an avoidable epidemic plaguing our streets, causes more death and injuries than terrorism. But all isn’t lost. 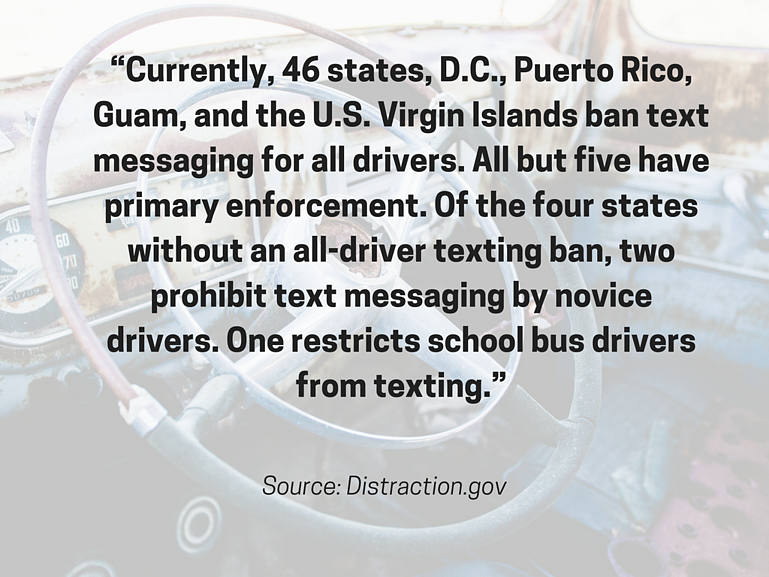 Thankfully, as per the latest statistics from Distraction.gov, almost all states in the United States have deemed texting while driving illegal. What about hands-free texting, you ask? There are states that allow drivers to text while driving as long as it’s hands-free. 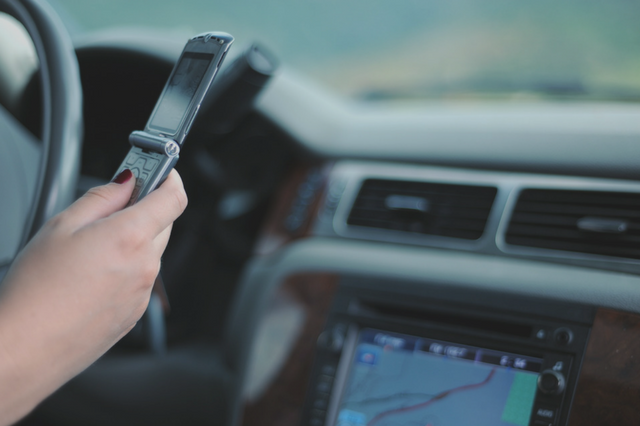 It’s a known fact that despite the many warnings against texting while driving and the harsher prescribed penalties for offenders, drivers still text and drive. As a consequence, car manufacturers and app developers have teamed up to make texting while driving safe for motorists. Through voice technology, they can now read and send text messages or emails while their hands are firmly planted on the wheel, turn on their wipers and even order pizza using voice commands. On the surface, this sounds like a win-win situation. As long as their eyes are on the road and their hands are on the wheel, drivers should be safe, right? In reality, however, this is largely a failure, as the following studies suggest. ScientificAmerican.com cites a Texas A&M Transportation Institute study, albeit a small one with a measly 43 subjects, that sought to analyze the effects of texting while driving, hands-free texting, and not texting at all on motorists. The conclusion was crystal clear: Hands-free texting is just as dangerous as texting while driving. A 2013 CBS News article referencing an AAA study reported that the use of voice commands to send text messages or emails while driving was more distracting and dangerous than talking on your phone. 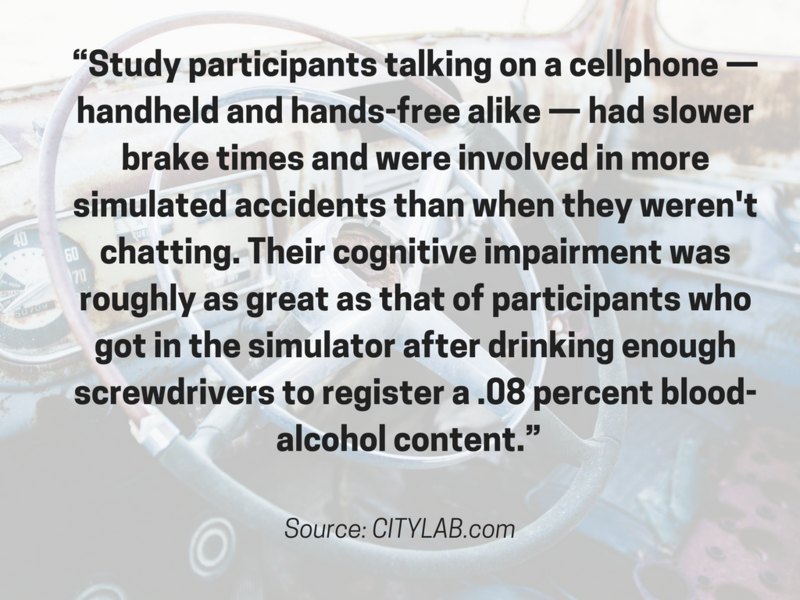 A study by cognitive neuroscientist David Strayer and his colleagues from the University of Utah, as cited by The Atlantic’s CITYLAB, showed that cell phone use, hands-free or otherwise, was in no way different from driving under alcohol influence. Distracted driving, even if you’re texting hands-free, keeps your mind off driving and exposes you and those around you to great risks. Bottom line, there’s no safer alternative to texting while driving than eliminating the habit altogether. Like we always say here at Western Slope Driving Institute, never text and drive in Colorado and other states. If you must send a message or take a phone call, pull over where it’s safe. A text message is never worth losing your dear life – or the lives of others on the road, for that matter. If you need help figuring out the driving lessons that are right for you or your teenage driver, please give us a call. We’ll be happy to assist you any which way we can.